One of the tell-tale signs you're a 'home cinema hero' – according to my colleague Steve May – is that you 'still have a LaserDisc player, somewhere...' And, indeed, to AV geeks of a certain vintage, the mere word conjures up cherished memories of that unmistakable whooshing sound as the big and beautiful medium – think CD, enlarged to LP size – was brought up to speed within the sizeable slab of a player. LaserDisc owners knew they were in for a movie-watching treat, with CD-quality stereo sound accompanied by visuals that rivalled broadcast quality. In the era of standard-def analogue telly and 4:3 CRT TVs, you couldn't get better at home. LaserDisc devotees also took for granted features that the VHS-buying masses would only be in a position to appreciate come the DVD revolution – such as chaptered access to sections, frame-by-frame analysis, freedom from wear, 5.1 surround sound and bonus material like director's commentaries and featurettes. It was simply light years ahead of its time. The Discovision system – as it was originally known – was developed by Philips and record company MCA from patents filed by US inventors Dr. David Paul Gregg and James T. Russell. First demo'd as a prototype in 1972, Discovision was eventually marketed in a handful of states over the December of 1977, and received its full US launch the following year, with players badged 'Magnavox' (Philips' consumer brand name on that side of the Atlantic). And it heralded an AV revolution that would last until the end of the 1990s. Discovision's 12in disc was scanned by a 'non-contact' (hence no wear) optical system built around a helium-neon laser tube. This mechanism could yield up to an hour of analogue video at a standard hard to distinguish from off-air TV. Furthermore, you got the draw of stereo sound, at a time when TVs were strictly mono. Mass-producing Discovision titles was cheap, certainly in comparison to the videotapes that were coming to market around the same period, which had to be duplicated in real time. Like LPs, and unlike CDs, the discs could take advantage of double-sided operation. A complete movie spanned both sides, meaning you had to flip it over halfway through. It'll come as no surprise to those of us battered by format wars that Discovision wasn't the only videodisc to go on general sale. There was also CED (Capacitance Electronic Disc) – aka Selectavision. CEDs were tracked by a lightweight stylus rather than a laser, and so would eventually wear out. Stereo sound was again supported, but image quality was mediocre. CED was a market failure, nearly bringing the format's main backer (RCA) to its knees. But back to Discovision. Two different varieties were offered – differentiated not by content, but according to how information was packed onto the disc. Both were issued throughout the format's lifetime. The first, sold as CLV (Constant Linear Velocity) or long-play, offered the longest running-time. It offered little in the way of trick playback; you didn't even get a basic VCR-type still-frame feature. You could, though, skip through while viewing pictures. The second type – known as CAV (Constant Angular Velocity) or active-play – sacrificed running time for trick-playback potential; each frame was addressable (a frame counter display was of particular value to film buffs). CLVs were employed for an average movie, as it could span the two sides of a single disc. CAVs were more common for documentary titles, and multi-disc special editions of movies. At least one release – Paramount's 1953 version of H. G. Wells' War of the Worlds, released in 1997 – used CLV on side 1, and CAV for the spectacular climax on side 2. It was more usual for a CAV title to span three or four sides. Sometimes, the fourth side wasn't required by the movie (or extra features). Play it by accident, and you might encounter a cartoon turtle on its back – with a message informing you that material was recorded on the other side. Quirky. 1978's Magnavision Model 8000 player set a basic precedent for the hardware that was to follow. It could be connected to both your TV (typically via its aerial socket) but also a hi-fi system, unleashing the potential of those stereo soundtracks. Discovision's AV performance may have trounced that of a VCR but no recording facility was offered. To this end, the format was backed up by a large variety of software. You could choose from documentaries, music discs and – most importantly – movies, the first released being Spielberg's 1975 smash Jaws. Studios outing titles on 12in platters included Warner Bros, Universal, Paramount and Disney. Ultimately, performance was limited by the source material. The format could be (and, throughout its lifetime, usually was) excellent, but bad discs (some spoilt by faint but distinct colour patterning in the background, others with overall visuals not much better than VHS) escaped through quality control. The inability to record helped to ensure that not even a publicity campaign featuring Star Trek actor Leonard Nimoy could cement Discovision as a mass-market proposition. But it did achieve success among quality-obsessive users, and found uses in all sorts of arenas, from businesses and museum exhibitions, to Lucasfilm's groundbreaking non-linear movie editing system (EditDroid), video games and the BBC's interactive Domesday Project. This may be why Philips initially used a different name – Video Long Play (VLP), rather than Discovision. Eventually, though, the term Laservision was coined. Whatever the moniker, AV enthusiasts praised the format's lofty standards of picture and sound. So how did we get from Laservision to LaserDisc? Enter Pioneer, a brand that did more to cement the format as a home cinema staple than any other. The Japanese corp launched its first unit in 1984, with a cheaper semiconductor laser of the sort that all CD players have, and used LaserDisc as branding. Pioneer also set up software companies (Pioneer LDCE in Europe) to distribute material in the format, and popularised LaserDisc for karaoke. But its real impact was felt in hardware. At various points in AV history Pioneer marketed high-performance 'component' video systems with largescreen displays, introduced its £25,000 Pioneer VDR-V1000 LaserDisc recorder for professional use, adapted LaserDisc to the Japanese MUSE hi-def format and sold clever machines capable of playing both sides of a disc without having to spit it out first. Players like the UK-model CLD-2950 had a laser that could perform a literal internal U-turn. Pioneer was also instrumental in applying a CD-quality (16-bit, 44.1kHz) LPCM soundtrack to NTSC platters in 1985 – the associated player would also spin CDs, often with a dedicated smaller disc tray that extended from the main LaserDisc one. All of the multi-standard machines sold by Pioneer in Europe were of this type by the late 1980s. Around the same time, the company started selling players in Europe that were capable of handling not only official PAL titles, but also NTSC releases, imported from the US and Japan. These dual-format decks, with circuitry to transcode NTSC into a 'pseudo-PAL' signal that most recent TVs could handle, sold like hot cakes as UK cinephiles tapped into the much wider range of discs abroad. Even as far back as 1984, there were nearly a thousand titles in the US, from big-name movies (Tootsie, Raiders of the Lost Ark, Psycho, Poltergeist, Apocalypse Now, Gandhi...) to music releases (Michael Jackson's Thriller, Fleetwood Mac In Concert, Queen's Greatest Flix...). An NTSC-compatible PAL player could play all these – and the thousands of titles released over the intervening five years – plus 'legit' material too. Another bonus draw was that fans often got to see films ahead of their UK video release date. The expense associated with imported discs was a price worth paying. Step forward to the present day and Ultra HD Blu-ray enthusiasts will tell you much the same thing. Minority niches were well served too; fans of anime were in seventh heaven. They may have taken disc sales away from Pioneer's own LDCE arm, but players capable of handling both NTSC and PAL helped to establish LaserDisc as a stalwart of the fledging home cinema industry in the UK. Film fans were its biggest market, and we embraced it eagerly. The format's technical superiority to VHS wasn't its only appeal, either. LaserDisc began the idea of the deluxe home video release, with specialist labels – Criterion Collection in particular – selling lavish releases of iconic movies using the best-possible transfers, and loaded with special features. Often, these expensive editions spanned multiple CAV discs, and featured sumptuous artwork and info-packed booklets. They took the art of collectability to heights traditionally associated with vinyl. However, some of them were produced exclusively for the Japanese or US markets. No wonder NTSC-compatible players were so popular. By the mid-1990s, while DVD was still being prepped, LaserDisc was the AV king. Some titles were being certified by Lucasfilm's THX programme, ensuring high standards maintained during mastering and transfer. Pioneer LDCE was doing a fine job distributing mainstream movies and concert extravaganzas, usually in affordable single-disc CLV editions. You could buy LaserDiscs on the high street, or you could import from around the world. And it had undergone a key, AV-centric transformation. As mentioned, the format was stereo-capable from the outset. But in the 1990s LaserDisc was tweaked to support the AC3 system – better known as Dolby Digital – that made its theatrical debut with Batman Returns in 1992. In 1995, Harrison Ford thriller Clear and Present Danger became the first LaserDisc release to pack a discrete multichannel soundmix. Basically, one of the NTSC LaserDisc's FM audio channels was sacrificed for AC3; the other remained, and could be used for a mono commentary or soundtrack in a different language. The PCM soundtrack (usually Dolby Stereo matrix-encoded, the precursor to authentic surround sound) was retained for backwards compatibility. To explore this brave new sonic world you needed an AC3 decoder, an NTSC-compatible LaserDisc player able to output this information (modifying an existing machine was an option) and a device that interfaced the two. LaserDisc players started sporting the necessary AC3-RF outputs. This was fed to a unit known as an AC3 demodulator, which retrieved the AC3 bitstream and presented it to the decoder in a form that could be understood. Many AC3 decoders and high-end AV receivers incorporated the demodulator. The difference it made was tremendous – discrete 5.1 knocked matrix-surround into a cocked hat. AC3 was a huge success, but another digital multichannel format was waiting in the wings. DTS offered a higher bitrate (1.235Mbps) than AC3's 384kbps, meaning compression could be less severe. Furthermore, you didn't have to worry about external demodulators – DTS tracks could be sent via a player's existing digital audio output. The first DTS LaserDisc was Jurassic Park. Once again, the only available software was NTSC, as PAL discs had no alternative soundtrack to placate disc-buyers without DTS facilities. Spine-tingling sound, an extensive library and collectible releases – LaserDisc had it all. Well, almost. As it reached its technical peak, its days became numbered, with the new all-digital wonder-format (how we thought of DVD back then) looming on the horizon. DVD, launched in 1998, offered support for one or more stereo or multichannel audio soundtracks as standard, and stored video in digital-component form rather than old-tech analogue composite. Every DVD gave you the noiseless trick-play picture quality (but not the direct frame access) of CAV LaserDisc, plus support for anamorphic widescreen as an alternative to wasteful letterbox.MPEG-2 compression was used to squeeze data rates down to practical levels, and although initial releases looked mediocre with noticeable artefacting, encoding techniques improved. And DVDs were CD-sized, the kind of bonus feature that those with hulking 12in collections appreciated. Format pioneer Pioneer kept the flag flying with clever players (like 1998's DVL-909) that could spin DVDs as well as LaserDiscs and CDs. But they weren't ideal. The component or RGB Scart output was exclusively for DVD, while the lack of AC3 demodulators meant that you could pipe Dolby Digital soundtracks from DVD but not LaserDisc to your AV gear. And 'combi' players didn't make good use of the digital electronics that had to be incorporated for DVD playback to offer features like video noise reduction and trick playback from CLV titles. Despite such limitations, these expensive machines sold well. AV-Holics now had something that could handle not only their existing collection but fancy new DVDs too. But the nails were being laid out around the coffin and LaserDisc's last software release came surprisingly quickly in 2001. By the end of that decade, the format was all but forgotten, with collections and players quietly disposed of by many film fans. Except the story isn't so simple. Even today, some are loath to divest themselves of their big discs – and for good reason. A considerable amount of material once sold on VHS or LaserDisc has yet to make it onto DVD, Blu-ray or download. A used LaserDisc may therefore be the best-quality option. Music is a case in point – dozens of concert performances remain in the analogue domain. Consider, for example, the 1970 Beatles doc Let It Be – shot at a time when the band was close to collapse. It was released on home video (VHS and LaserDisc) in the early 1980s, but has yet to see a digital release, possibly because it's not how the surviving band members wish their collaboration to be remembered. The only way you can watch Let It Be at its current domestic best is to spend a fortune tracking down a copy of the NTSC-format LaserDisc. And sometimes LaserDiscs remain superior, in one or more respects, to their DVD or Blu-ray counterparts. They may contain scenes or extras (often chat tracks) that were cut from subsequent releases; retain the theatrical release's original music; be featured in a more appropriate aspect ratio; have their basis on a better transfer; or boast superior (or true to the original release) audio. I know what you are thinking. Now is not the time to start hunting around for retro hardware and discs. After all, you have 4K Blu-rays to buy. Yet if you are curious about a format you never experienced, or anguished that you had a collection and threw it all away, all is not lost. Players and discs are still fairly abundant today, and prices vary widely. Rarer titles can change hands for significant sums of money, but most can be had for a fiver or less. And while some equipment – like MUSE players and LaserActive gaming consoles – is uncommon and can fetch high prices, regular domestic players are another story. Not so long ago, they sold second-hand for next to nothing; in 2017 working specimens typically go for £50 upwards, with higher-end Pioneer players (especially 'U-turners' and DVD combos) fetching over £100. And another thing. Even given their non-contact nature, the discs aren't completely reliable. Remember the 'disc rot' that affected certain CDs a good few years back? Some LaserDiscs, especially titles from the early to mid-1980s, are plagued, too. Owing to manufacturing deficiencies, the reflective aluminium layer slowly oxidises through atmospheric contamination, causing readability issues. The results range from dropouts and skipping to a complete refusal to play. Laser rot is not always visible on the disc surface, but light brown spots or patches are definite signs. Actually, I'm aware I may be putting you off. Don't be. There's a lot to love about LaserDisc. 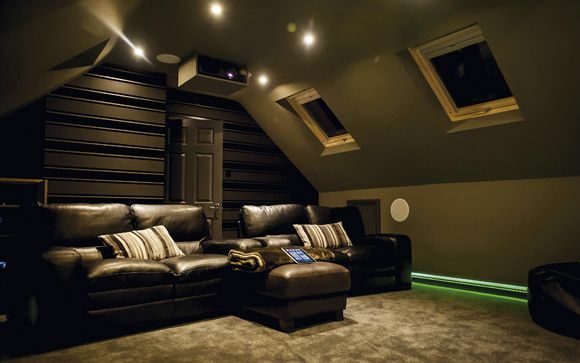 Is it time for home cinema to Kiss and make up? Five years of 3D TV! Nine key things we want from 4K Blu-ray! Revealed: Everything you need to know about 4K!